Dedicated to building beautiful water architecture, Soucy Aquatik is the top aquatic construction company in Canada. With over 1,400 projects to its name, the company has built its success on the specialized expertise of its 100 trailblazing employees, leading aquatic engineering into the future with state-of-the-art projects. Soucy Aquatik specializes in the design, construction, and renovation of architectural fountains, pools, water games, spas, nordic baths, and skateparks at the commercial, municipal, and institutional levels. Whether if is for a design assistance or a "design build" project, our team will be able to help you regardless your type of projects. Our team is known for design projects that meet the highest standards and regulations: Regulations respecting water quality in swimming pools and artificial pools Q-2, R.39, Regulation respecting safety in public baths B-1.1, R.11, Construction Code B-1.1, A.2 and high standards of FINA. "Our electromechanical engineering design specialists draft a project’s technical drawings all the way up to the construction plan." Soucy Aquatik can assist you with your aquatic construction project no matter where or how big it is. So go ahead and think big—we’ll be up to the task. A project manager will be right there with you throughout the project for all major phases up to delivery. 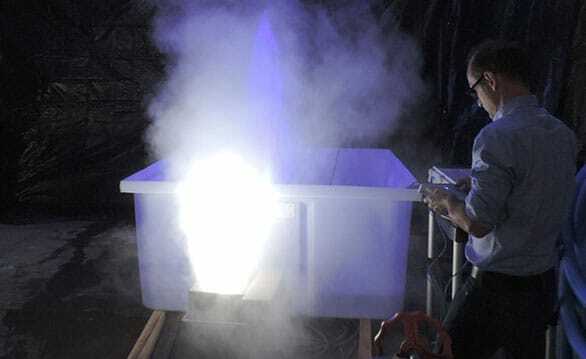 Our test pool allows us to construct full-scale models and project sections. These tests enable us to measure splash size, determine specific details, and eliminate the risk of complications. A product catalogue will be available to you throughout the project and beyond, providing access to a full range of pool, water basin, and fountain equipments. 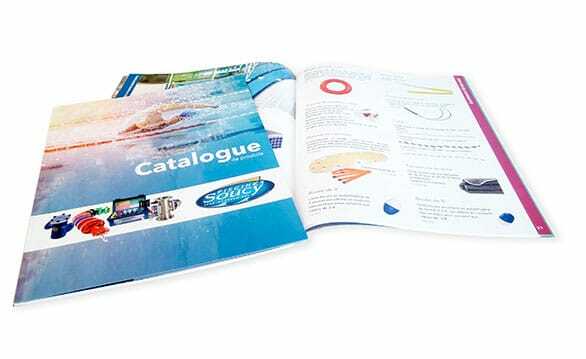 From its maintenance products to its competition equipment, the catalogue will help you keep your aquatic installations in working order.